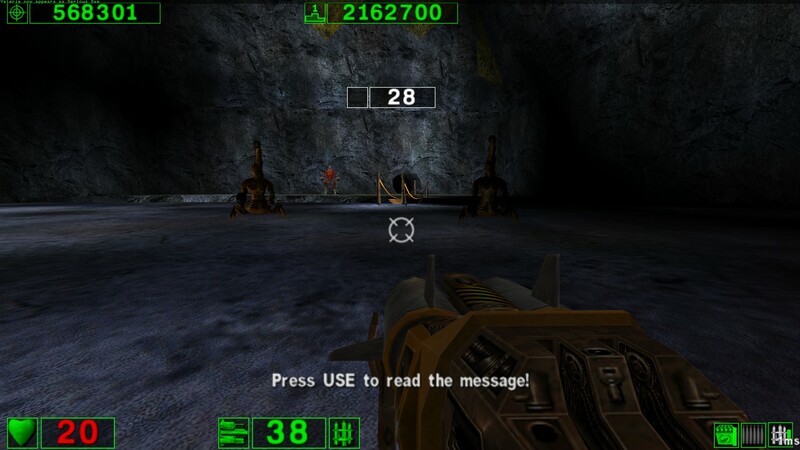 Over the years, the Serious Sam fan community has had a few names percolate to the top of everyone’s minds, usually due to having made fan maps and mods for the Serious Sam games. One such name that pops up is Chris “toastar” Young, a fairly prolific mapper, modder, and modeller who had released a handful of highly-praised maps for the single-player, co-operative, and versus game modes. He was also responsible for helping to create BTB Airlines, a multiplayer-focused vehicular-combat mod, with CAD Creations, a mod development team he formed. 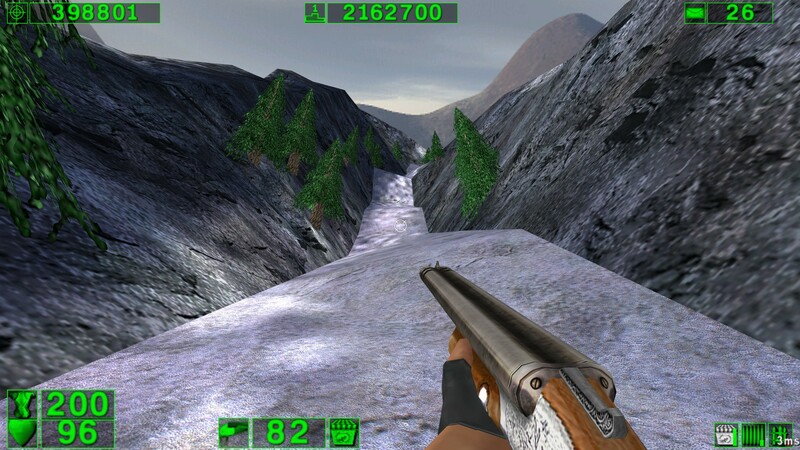 However, that is not what we are here for; what we will be looking at this time would be Alpine Mists, one of his earliest published single-player maps, for Serious Sam Classic: The First Encounter. If there is any prime example of looks over practicality, this map is one of them. It is very clear that Toastar was pretty passionate about modelling, because a majority of the level seems to be made out of terrain generator tools and external modelling programs instead of the brush construction tools within Serious Editor. This resulted in a level that looks very nice for a map made with 2001-era gaming technology, but fairly impractical to traverse and move around in due to how slopes can greatly affect the physics of movement and knock-back from damage. As a result, combat was made slightly aggravating due to to the very liberal use of sloped terrain. I think that with a little bit of tweaking and testing, this issue could have very well been fixed by flattening a lot of the triangular edges and staggering the steeper slopes into flat patches of land broken up with mini-cliffs and/or stairs. 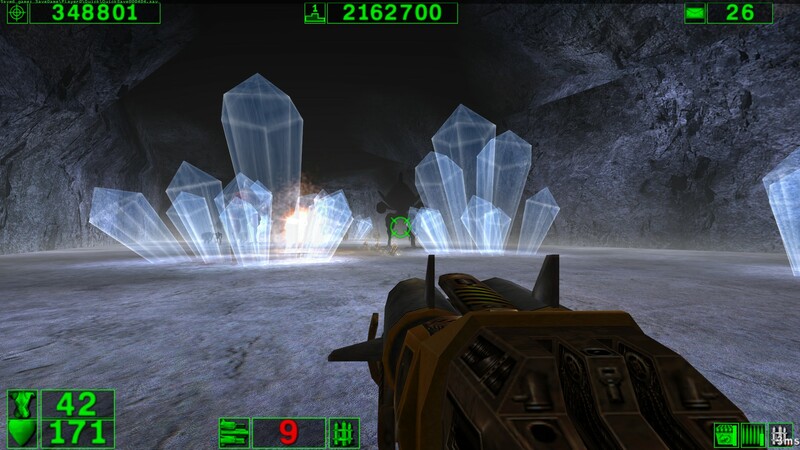 The aesthetics of this map is quite well realized, making you really feel like you are lost in an adventure within a snowy mountain range, and this feeling of coldness is carried quite well into the indoor cave segments with the use of ice crystals and reflective floors. 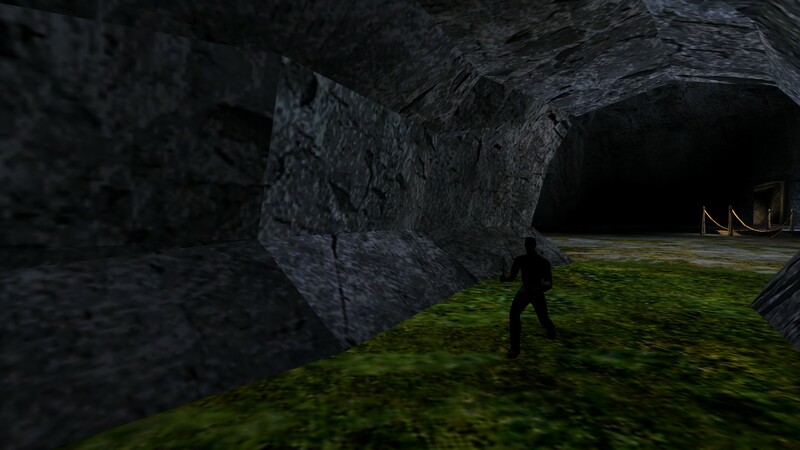 Unfortunately, it feels like the overall layout of the map is disjointed and lacking in any solid structure as you enter indoor cave systems no less than 3 times, and in each time, the transition to an outdoor area is done via teleportation devices. It’s almost as if the map still had a lot of work left to do when it was published, and he had to stitch the pieces of the map together with teleporters. The gameplay, unfortunately, did not age well. While the map was well-praised when it was first published, playing through this map again many years later did not carry the same magic it once did. It is likely that this is because the novelty of the idea of fans being capable of creating maps for the game had worn off. Playing through this map, it felt like it was designed by someone who had a vague idea of what makes combat in Serious Sam work. They would have had some ideas for twists on the formula, but did not quite understand the core principles and lacked the experience to truly make their gameplay ideas shine. This is especially apparent in the beginning and the final segments of the map where you simply are not given enough resources to deal with what was thrown at you. You are expected to deal with a bunch of Harpies, a pair of Werebulls and a small Biomech on a cramped slope with only your pistol, a knife, a shotgun and a handful of shells. 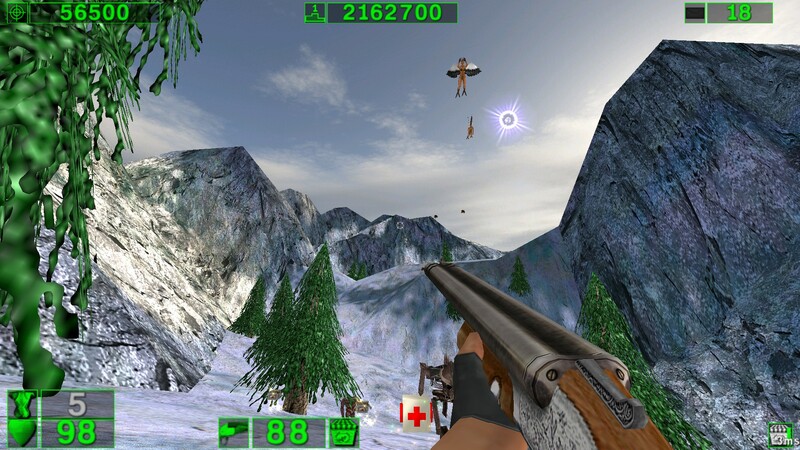 The attrition was especially brutal in the harder difficulties when the lack of ammo for your weapons forces you to fall back on your shotguns, which greatly increases your likelihood of taking massive amounts of damage, which is not helped by the conspicuous lack of health and armor pickups towards the end. This map also had a bad habit of spawning in monsters unavoidably close to you, and sometimes directly behind you, forcing you to take damage without warning unless you already know when and where monsters will spawn in, as well as know how to deal with them once they do. On the other side of the coin, there are also areas in the map where the geometry can be absolutely abused to your advantage, completely avoiding the risk of taking damage, and in one particular instance, have the splash damage from the large Biomechs’ rockets kill the monsters for you. Overall, it is not the best single-player and co-operative map for a Serious Sam game, I would not even consider it a great map. However, for what it is, I would consider it a map worth checking out, if only to see what a 15 year old game engine is capable of producing visually. 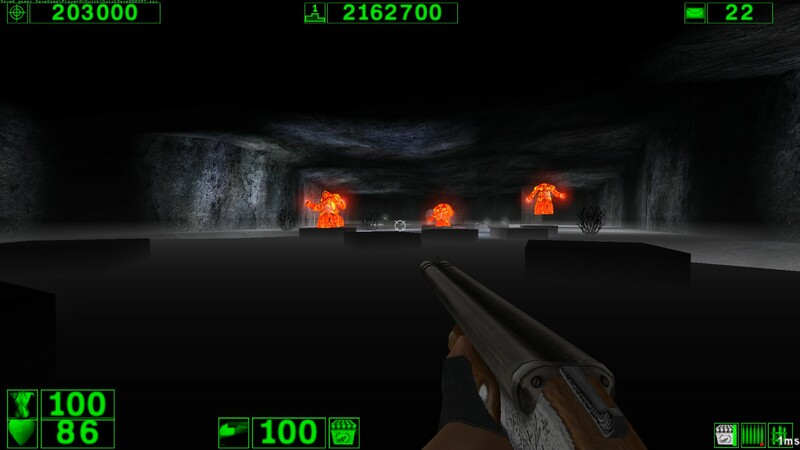 Toastar did a great job giving the map a unique visual character and setting, especially considering that Serious Sam Classic: The First Encounter only offered an Egyptian setting to work with. A nice consolation is that this map plays well with the online co-operative mode, which would serve to alleviate some of the gameplay woes experienced during solo play. Toastar would later have gone on to produce other levels that show marked improvements both in terms of visuals and gameplay. In that context, this map serves as a reference, a starting point to illustrate how far he had come since his first mapping contribution to the community, and it is a solid starting point, let me tell you.